That One Time We Became Caterers. 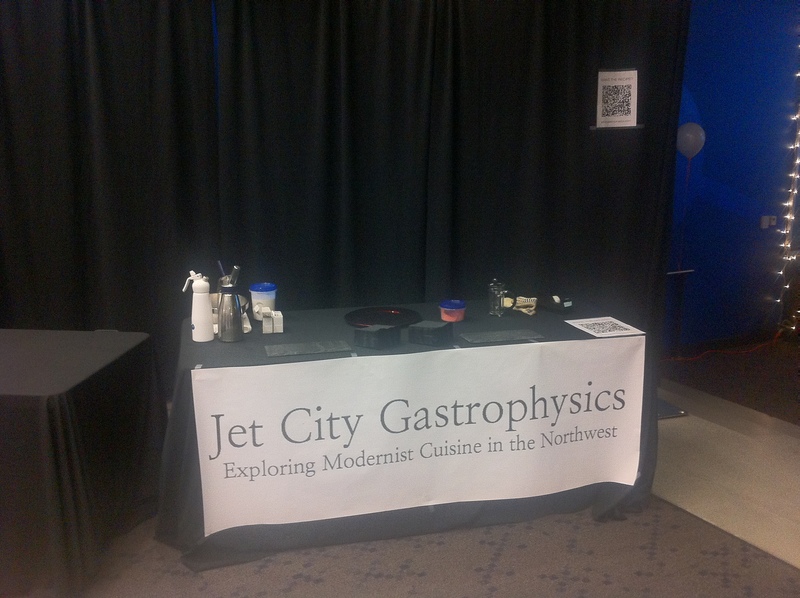 We’ve hit a new milestone here at Jet City Gastrophysics: we’ve gone public. When we received an invite to serve a dish at a company party for The Institute of Systems Biology in Seattle, we couldn’t pass it up. We put together a nice little dessert of Cryopoached Coconut Meringue with Powdered Strawberry. We brought our siphons and strawberry dust. They, being scientists and all, provided the liquid nitrogen. A perfect match.